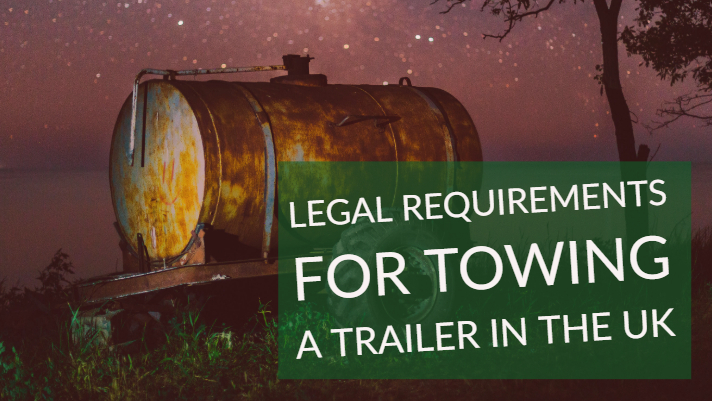 If you are towing a trailer in the UK, or planning to, the legal requirements relating to how much you can tow depend on when you got your driving licence. The category B test is for cars and small vehicles and if you have one and got your licence after January 19, 2013, you’re allowed to tow small trailers weighing no more than 750kg and trailers that are not heavier than 750kg when its weight and that of the vehicle towing it are not more than 3,500kg together. If you want to tow a trailer that weighs over 750kg when the combined weight of it and the towing vehicle is greater than 3,500kg, another test must be passed in order to get a B+E permit on your licence. For people who got their category B driving licence after January 1, 1997, they are allowed to drive a car or small vehicle weighing no more than 3.5 tonnes or 3,500kg Maximum Authorised Mass (MAM) when towing a trailer of a weight no greater than 750kg MAM, and the weight of the two cannot be more than 4,250kg. If, however, you got your driving licence after January 1, 1997, you can tow a trailer with a weight greater than 750kg provided it’s not more than the empty weight of the vehicle doing the towing, and the most that’s allowed for the two is 3,500kg. If you want to tow something heavier, you’ll have to take the category B+E test. For those who got their licence before January 1, 1997, the most that is allowed is 8.25 tonnes MAM, and that includes the weight of the trailer and the towing vehicle. Holders of these licences are also permitted to drive a minibus with a trailer of more than 750kg MAM. There is a new provision for much heavier tows; it’s the C1+E permit and the maximum weight of the trailer and towing vehicle is 12 tonnes MAM.